Systems of multilevel organized structures are proposed for examining ceramic products with a periodic topology. 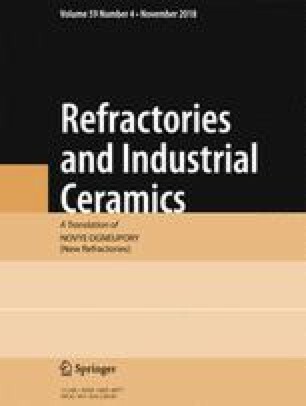 Structural changes on various scales were studied in corundum ceramics produced by 3D-printing during annealing at 1700°C. Changes of the body geometry, layer structure of the printed sample, material grain structure, and α-Al2O3 grain crystal lattice constants were characterized. Translated from Novye Ogneupory, No. 9, pp. 35 – 39, September, 2018. The research was sponsored by a Russian Science Foundation Grant for Project No. 17-13-01382.